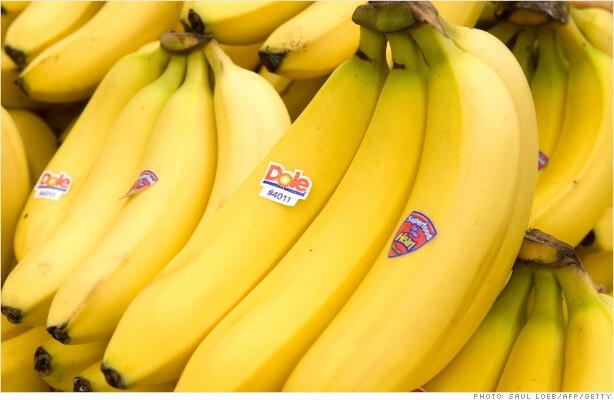 Dole's stock jumped more than 20% after its CEO made a bid to take the company private. Investors welcomed Dole CEO David Murdock's bid to take the international fruit company private Tuesday. Murdock offered $12 a share for the remaining 60% of Dole (DOLE) that he doesn't already own. Murdock returned to the helm of Dole earlier this year after David DeLorenzo left to lead Dole's Asia packaged food business as part of its sale to Itochu Corp. in Japan. Murdock was once the sole owner of Dole. Back in 2003, he owned the whole kit and kaboodle. But the company has been struggling lately. It ended plans to buy back some of its own stock and first-quarter results were weaker than expected. Dole's shares popped more than 20% Tuesday following Murdock's offer. $DOLE Why is this above the price given to take private? Might there be other Dole banana buyers out there or could existing shareholders simply get Murdock to pay more if they fight hard enough? Dole said its board of directors will be reviewing the offer in the coming days. Or perhaps investors who have been betting on Dole's stock declining are getting worried. $DOLE 15% or 8 million shares are short, this could get interesting. With that many shorts -- bets on a stock decline -- it's no wonder that some StockTwits were a little bitter.